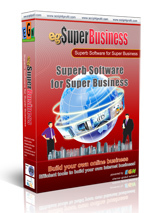 I love this egBusiness because it's easy to manage. But, the most important thing is your support. I'm happy to say that your support is EXCELLENT ! Very fast and quick response and manage to solve all my problem. Love to do business with you and I strongly recommend EGN Software to others because their Excellent after sales service. Thanks to EGN.